Rubbish Disposal did a full on garage clearance for us, and it was such a relief to have someone else deal with it, and they did it so quickly too! The flat clearance guys completed a great job and the smiles never left their faces. It was a pleasure doing business with Rubbish Waste Clearance. Junk Removal were speedy, polite, and the loft clearance team were hard working. I thoroughly recommend them to anybody and everybody. I have no qualms about recommending RubbishWaste for waste removal. I've used them a few times now and they've never let me down. Efficient waste removal services. Rubbish Disposal provides quick and easy service. The waste removal men were able to clear my property of rubbish within 3 hours time. I had a rather large lot of waste, from large appliances to auto parts. The workers were not fazed, and worked at top speed. Excellent service! 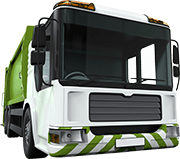 I made the enquiry after reading customer reviews for waste removal companies in my region. Impressed and delighted with the results received from Rubbish Disposal, and have no problem recommending them to any and all in the area who require their reasonably priced services. My husband and I had just decided to redo our flat. It was just time. As a result, we were left with odd bins of rubbish, as well as a sofa, oven and old, battered dining room set. Looked for the most lucrative deal and found Rubbish Waste Clearance. Booking was easy. The 2 chaps were on time, nice and got the job done. Will recommend their junk removal service. this is quite possibly one of the top companies in Britain with regards to service and price. Both their office staff and waste removal workers are kind, patient and efficient in their tasks. Junk Removal pulls no punches when it comes to delivering top notch service to their customers. Customer service from Rubbish Waste Clearance was extremely helpful in setting up an appointment to remove a large stack of old newspapers from my grandmothers flat. Excellent waste removal service at a competitive price. Rubbish Waste Clearance came, collected and conquered, all at a competitive price. They have no problem servicing my area. excellent job! I want to give a big thumbs up to Rubbish Waste Clearance. The rubbish clearance team helped me out massively the other day. Junk Removal offered an excellent rubbish removal, so quick and easy to book too. After a big redesign project in our house we had loads of bulky items that the local council collection wouldn't take (unless we paid a fortune) and no means of taking it to the tip. Thankfully Waste Collection came and did a complete house clearance for us and took everything away. A really valuable service for people in our situation, and we didn't have to wait long at all. I was looking for a cost-effective rubbish clearance service. Found Rubbish Waste Clearance. Happy with them so far. I called Rubbish Clearance about a waste collection service. I was so impressed by their rates, I booked immediately. The team that showed up on the day didn't let me down. It's about time to spruce up the old place, at least from the outside. I contacted RubbishWaste, and we enjoyed a good bit of conversation. They looked up my records, as I have used them several times before. They had no trouble arranging for the same chaps to come out and work on the garden for me. As an elderly person, I'm rather up in years so need some help now and then. As always, they arrived spot on. After exchanging a few pleasantries and doing a bit of catching up, I let the lads do their work. Much work to be done, but they handled it all without complaint, as always, taking great care not to damage the lawn or leave clumps of dirt on the drive. They even raked the gravel nice and flat, and I was not expecting that, so am grateful. Great waste removal company to call, good prices and always fair in trade. Speedy service, lots of different rubbish removal packages to choose from, and very efficient service. Really can't get much better. Thanks Waste Collection. I trialled Junk Removal Service as I needed someone for regular waste removal for my restaurant, and after just one collection I knew they were the right company for us. Not only were they highly professional and fast workers, but the prices were so much more affordable than I expected too. Can find no fault with the stellar job done by Rubbish Waste Clearance. Crews were polite, prompt and cleared the alley out in less time than was promised. Awesome waste removal company. Will recommend. RubbishWaste has the most efficient work crews. We needed to clear away rubbish from remodelling our bathroom, which meant there was an old sink, tub, piping, tiles, etc. The workers did an excellent job carting it all off, we are very well pleased with the junk clearance service. Left happy and content with the entire process. Thank you ever so much RubbishWaste for being a trustworthy waste collection company. I feel like I'm telling a secret by sharing how incredible Rubbish Disposal is. A few weeks back I used them for rubbish collection and still can't get over what a great deal I got. They not only provided me with a low-cost service, but they did an unbelievably good job. I really admire a company like this who isn't out to gouge their customers. By treating me so well they found a life-long customer in me. Rubbish Disposal is a win-win in waste clearance. Needed someone to come and do a quick junk clearance for me, and RubbishWaste were the perfect choice. Great prices, and also came the same day, which was perfect and meant no waiting around. Highly, highly recommended for all your junk needs. Speedy, affordable and efficient rubbish collection from Waste Collection. Couldn't ask for a better service. And were way cheaper than I expected. Rubbish Waste Clearance has always offered me fair service at a fair price. They deliver an efficient waste removal service and are always are happy to help resolve any issues I have. Junk Removal is the king of rubbish removal. They quoted me an incredibly cheap price for their service. I felt like a thief accepting! Thanks! I rang up Junk Removal Service for a quote on waste collection. Liked the price so called them over. Quite pleased with the result and would hire them again. For a waste collection company, I was not expecting such fast, honest and polite workers. Thank you very much, Waste Collection. I will use them again. I used their waste collection service coz I needed professional help. I am pleased with the end results and the price was reasonable. Thank you Junk Removal Service! I hired Waste Collection for rubbish collection 3 days ago. They did a marvellous job and the price was cost-effective. Cost-effective and just a great all-round rubbish removal service! RubbishWaste know what they're doing, and from my experience they're the best in the business. Used their waste removal service and saved some cash.  Waste Collection offered me the lowest price for such services in London. Have never worked with a better company! The waste disposal team were fast, professional and polite. Waste Collection also offered me a cheap price and the service was great value for money! I used Rubbish Disposal to clear out my basement and I was surprised at the low price they gave me. I thought that they would add fees to the final bill but they didn't charge me extra. I got a cheap and efficient junk removal service! It is always a pleasure working with Rubbish Waste Clearance. They offer great discounts on a regular basis and you can always get a great deal on rubbish clearance with them! Junk Removal Service are my favourite clearance company in London. I've used quite a few services throughout the years as my business generates large amounts of waste on a daily basis and the local council's service is inadequate in collecting it all on time, so I require a service I can rely on for daily collections. Of all the companies I've worked with, only this one has managed to always stay on schedule and the best bit is that they are very cost-effective too. Got a team from Rubbish Waste Clearance over to my place for a home clearance job and I am really impressed with the speed with which they handled the work. Very happy with the service and I am recommending them to friends too. I thought getting rid of my junk would be a nightmare. I had so much stuff and it was all different. I didn't think I would be able to dispose of things easily and I thought it would take me a while to finish the job. This wasn't what happened though because Rubbish Disposal sorted it all out. They handled my household rubbish removal by collecting, carry and disposing of it all. There wasn't anything I needed to do, as I could leave it up to this top team. Rubbish Clearance and their builders waste removal service restored my home after repairs. The builders had left such a mess behind but this company didn't mind the size of the job. The staff were keen and prepared, friendly and skilled, and the price of the service was very affordable. This saved me so much trouble and I'd definitely use the company again. My loft clearance went off without a hitch because of the fine work done by Junk Removal Service. They were a great group of people who were able to safely take away all the junk from my attic. The process was over in no time and my loft is clear and clean. Five stars! I needed a top sofa disposal team to handle the furniture in my home. I couldn't leave it to just anyone because it was essential that everything was moved and disposed of without any complications. Rubbish Clearance were able to do this for me. They were careful so that everything was shifted smoothly. The job was done in half an hour and the results were perfect. The rubbish clearance process went very well indeed. I couldn't have comprehended that level of service because everything went perfectly, which was an almighty relief as having piles of junk cluttering up my house was starting to do my head in. If I'd have known about Rubbish Waste Clearance and their affordable, reliable services, I would have called them a lot sooner! Fantastic stuff from everybody involved. My wife and I are far from hoarders, but after we moved into the last house certain things must have gone wrong, as we realised the whole place was getting extremely cluttered at a rate we couldn't keep up with! It became a pretty big problem in our everyday lives, and when we found out my wife was pregnant we decided on a professional service. After looking around, we settled on Rubbish Clearance. We were both amazed by how quickly and professionally their team worked, and pleased when we saw the house was ready for a baby! Absolutely fantastic service by Rubbish Waste Clearance! I had a lot of junk that I needed removing from my house and their hard working crew did so in a cost-effective, efficient manner. I was worried that I was going to have to break the bank in order to pay for their service, so I was pleasantly surprised with the price quoted for the job and with what took place. A faultless service that provided me with everything I needed! Rubbish Clearance provided me with a service that was cheaper than a skip hire, and they did all the work, so booking with them was the best choice. The service was fantastic value for money and precisely what I was after. In addition to the service, the staff were cheerful and remained in good spirits throughout the process. I am happy to recommend their company. I've had problems trying to dispose of builders waste before, and after having some repairs done to my home I wanted to hire a professional to get the job of clearing done for me. Choosing Rubbish Waste Clearance turned out to be a great choice, as they did everything that I needed without fuss and without a hefty price tag. Very good work from a very good company! My garden was a complete mess but I didn't have the time to get all the waste collected and disposed of. I looked into companies in the area that could help, and Rubbish Clearance had such good reviews I couldn't pass them up. A fantastic and budget friendly service that was just what I'd been looking for! Thanks for all of the help. We were doing up the office and so all the old goods needed to go. We had a lot of items, mostly furniture, that needed to be removed and we couldn't so this ourselves. We called in the experts at Waste Collection to tackle things and they did a great job. They promptly had all the old furniture gone from the office and we were assured it would be disposed of properly. They were a great help to us and we will keep their number saved. My wife had been pushing me to get rid of the junk in our house for a long time. We had dozens of items, large and small, we no longer needed or wanted, and they were just taking up space. We hired Rubbish Waste Clearance to help and they did everything. I didn't even have to lift a single object. I just told them what I wanted moved and they handled it. A great service. Rubbish Waste Clearance did a wonderful office clearance service when I had new furniture. I had decided to revamp the office and invest in new more comfy office chairs and smaller lightweight desks. This meant getting rid of the old and bulky desks and chairs. This company provided a fast acting service at a low rate. I was very happy with the all round service. Waste Collection supplied a good service when I needed a reliable clearance company to shift my rubbish from my loft. I was intending on making more room for the family and there was a lot of old waste to dispose of. This company did an impressive job for an affordable cost. I recently had a massive clear out and realised that I had been accumulating a lot of junk over the years. I couldn't sort it all out myself as there was far too much of it, so I'm glad I was able to call upon the clearance services of Rubbish Clearance. Their team were extremely helpful, hard working and did an all round terrific job. I was in need of an old furniture collection service, as I wanted to get rid of an old sofa and armchairs set to clear up some space for my new furnishings. But I also wanted to be sure that the items would not just be dumped into a landfill - I wanted them to be recycled. Junk Removal Service offered the perfect solution and met my requirements to the T. A very reliable and fast acting service, I highly recommend them. The last tenants had left a lot of waste and useless items in my rental house, and before I could rent it out again, a thorough house clearance was in order. A friend recommended Junk Removal and I hired them to clear my property. I must say I am impressed with the service! Thank you for the job well done! The house is now completely ready for the new tenants. I recently had work done on my garden, and even though I was pleased with the results, I wasn't happy with the amount of waste left behind! I contacted RubbishWaste following the recommendation of a friend, and they sorted out the problem without me having to worry. The staff were friendly and worked very quickly to leave my garden looking fabulous! I'd use this company again and would recommend them to anyone struggling with garden waste - thanks so much for the effort! When I hired Junk Removal to clear my property I wasn't sure what to expect. I didn't want lots of hassle and I didn't want to have clearance people in my home for weeks on end. Luckily, this is a company that's swift, skilled and professional. Hiring them gave me more free time to focus on work, rather than my junk-filled home, and I was also impressed with the competitive prices. I've already recommended this company to a friend and would use them again! When my wife was expecting our first child last fall, we hired Rubbish Clearance for a round of home clearance. The team was polite and professional. They asked for our inputs wherever needed and also gave us advise on tackling rubbish disposal, if need be. The house was child ready in days and that made us feel relieved. Our hotel, while renovating, had a lot of furniture to dispose of. Rubbish Disposal's furniture clearance service was recommended by a colleague in the industry. Since we did not want to mindlessly throw away the furniture, they offered to take care of it. The employees were courteous and immaculate in their work. It worked out great. Junk Removal Service did a super fast rubbish removal service when I was renting out my flat recently. I was moving to another area and had packed up what I needed but there was a lot of broken glass, tiles, metal and wood to move. This company was fast to respond and take it away in one trip for a good price. A great service! Waste Collection were wonderful and understanding when it came to clearing out my mum's house after she died. Though we got rid of what we could we knew there was a far amount that we really didn't know what to do with. Like a lot of older people they keep things for years! But, these amazing workers removed everything with care, and transported it away to the proper recycling centres to be used again where needed. The staff explained how the service worked and we filled in the documents to dispose of the electrical appliances. A really first rate experience and done with a lot of care and consideration. I was so pleased with Rubbish Disposal after they took away a lot of commercial rubbish that I had stored in my workplace. Over the years when something was broken it got placed in a store room, and nothing was done about it until I had a good sort out, and contacted these professionals who had the proper procedures to get rid of the various items. It was money well spent and an excellent service. We had the big task of emptying an uncle's house after he died and we needed some professional help. I called on Junk Removal after being recommended by a friend. They were wonderful. At first they called and discussed how some of the possessions could be removed by us first such as donating and selling, and then the rubbish and useless things were going to be removed by this company. They did a super job at a great cost. The staff was helpful and sensitive at this sad time. From start to finish we got a really good and thorough service. RubbishWaste were wonderful and easy to deal with when I moved into my new flat. I had a lot of unwanted possessions that were old and of not a lot of use. I called and was told that the rubbish would be taken away to a recycling plant to be reused. A meeting was set and I was given a quote ahead of the removals service which I thought was excellent. The rubbish was collected, loaded onto a truck and away in no time. The workers were friendly and polite and swept the mess off my driveway too! Removing the rubbish from my garden was really easy thanks to the help of RubbishWaste - I didn't have to do a thing! I hired this company hoping for a professional and affordable service that did a good job, and my expectations were exceeded thanks to these dedicated staff members! My garden went from being a rubbish tip to an actual space I could enjoy thanks to this company, and I couldn't be more thankful! What an impressive service (and very cheap too! I think RubbishWaste are an excellent waste and rubbish disposal company, and they did a great job on my home. I needed a garage clearance service that wasn't too pricey, and hiring this company was a fantastic decision! I couldn't be more pleased with the results, and I'm glad that it wasn't too expensive either. The staff are very professional and friendly, and the work they did was also professional. Top marks - I would definitely recommend! After I decided to redesign my garden I really needed a company to move all of the waste out and let me see if for what it is. Before it could be designed it needed clearing out of all the auxiliary trimmings and uprooted bushes which were left behind. RubbishWaste were the best service I could have possibly used. They were on time and conscientious of my time constraints, deadlines and schedules. I wouldn't hesitate to recommend this perfect service to anyone who has waste, garden or otherwise. They are the best service I've used and my brother would agree with me. Junk Removal worked very well to return my garden to its original state. I wanted a local waste removal company that could deal with the mess left over after I redesigned my garden, and this was a company highly recommended by my friend. I couldn't be more pleased with the professional service I received, and the job was done to an excellent standard. Very impressive work, I'll be calling again should I need a junk removal company that I can rely on! I don't like to admit to myself that I have made bad decisions by buying a whole load of stuff I don't need, but it was time to face facts and clear out the sad results of a lifetime of hoarding. RubbishWaste were agreeable and affordable, so I asked them to come whenever they could. They actually managed to make it the same day, early in the afternoon and they were finished in less than an hour. Now, that's what I call efficiency. Perfect work from a perfect company. I had high hopes for clearance company, Waste Collection, after hearing good things about them from a friend of mine. I needed a company who could tackle the waste in both my garden and garage from a previous owner of my new property, but, having just moved house, I didn't have too much of a budget. I managed to get a great deal from this company, and the service they provided was excellent and very professional. The job was completed quickly, and I couldn't find a single fault. Very impressive! I had so much rubbish building up in my house I didn't know what to do with it. It was really stressing me out so I decided to call up RubbishWaste to help me get rid of it. They waited while I readied everything to be packed up and then they just popped it in the van. Just like that, it was away to the tip and I didn't have to deal with it anymore. They were really considerate too and acted like true professionals. I know I made the right choice with them and if I ever need to use them again I will be happy to call them. Owning a house is quite a lot of trouble! You might not think so when you're paying rent every month and things like that but when you move out or sell up there's a lot of rubbish there you need to get rid of, like all the furniture, all the old fixtures and things in the back of the cupboard... It's a nightmare, really. I use RubbishWaste to do that side of things because they know how to cope with it, whereas I do not. They're lightning fast, easy to deal with and don't mess around at all. They know their line of work well enough to have it over and done with on the same day. What more could I ask for? The house clearance professionals at RubbishWaste really deserve that title, unlike some companies I've worked with in the past. Before them I had a host of terrible experiences with movers, clearance companies, etc. I've found RubbishWaste to be incredibly easy to work with and I owe my current free time, free space and daily convenience (as well as retained bank balance) to their per-fect services. If you don't want to get short-changed, choose this firm. You'll have a good time, that is absolutely guaranteed. I've used them over the past few years and wouldn't dream of using any-one else. House clearance doesn't have to expensive. I found that out when I spoke to RubbishWaste about my options for getting the property stripped down to an unfurnished skeleton because I wanted to start again and redecorate the whole lot. I had a lot of clutter, a lot of furniture, and the garden was full of rubbish too. They were happy to include the whole lot in one package and give me a quote for everything at once which was unbelievably affordable. I thanked them all heartily but I feel I also need to recommend them to others in a more widely available format. Thanks for everything, guys. I was really worried about the junk and waste in my garage. I knew there was nothing of value in there, but we desperately needed the space. I hired Junk Removal Service following the recommendation of a friend, and their waste clearance help was just what I needed. My garage was clear and free from junk in no time, and the service was very cheap as well. I couldn't be more impressed with what I found to be a professional and dependable company! Commercial clearance isn't always the cheapest thing, but it is always necessary. Fortunately, RubbishWaste managed to keep the prices so low I had them clear the second warehouse out too. Both of the warehouses had become full of clutter and we organised the new products out from the waste and they just marched in, loaded it up and were on their way very quickly. There's nothing like a fast service to speed up your operations! I wish my employees would take leaf out of their book and we'd get a lot more done too. There is sometimes not enough room in the domestic waste bins for the amount of dross which needs throwing out! The spring cleaning was certainly a moment like that and it left me with stacks of rubbish and nowhere to put it. I called RubbishWaste on the off-chance they would work with just a small amount of rubbish. I know some companies won't do jobs they class as being ‘too small', which I think is silly, but RubbishWaste were more than happy to oblige. I'm pleased to have found out about a company which cares for the little people, too. You know how things can just build up and never seem to get thrown away? That's what was going on in my attic. There were boxes there which hadn't been open in decades and looking inside I could definitely see why. Stacks of scrap paper, empty packages, a broken hi-fi system... When I decided it was time to get rid of it all and start using my attic properly I called RubbishWaste because I had them recommended to me by a close friend. They didn't disappoint me at all and were happy to come up in the attic and get everything down. I used RubbishWaste to clear my house out of all the rubbish that was there. I own a home and used to live with three friends, but they all moved out and got married, so I was left with things which used to be owned by all of us, but I didn't want them (and neither would anyone else). I called the junk removal company up and had them throw away all of the boxes of rubbish I had no use for. They didn't charge me much at all which I was pleased about and they were fast to act, too. Now I live in a minimalistic environment with a lot more space. I'd hired a pretty disappointing building company whose workers said it wasn't part of their job to take away the waste afterwards. I was stuck with tons of rubble outside my house with nowhere to take it and no means of transportation. I called RubbishWaste out of frustration and they managed to calm me down right away. They came the next morning and loaded it all up in a matter of hours. When I came back, it'd all gone and I was faced with a very reasonable bill. I'm happy to be recommending this company to everyone on the internet and everyone I know! I was really tired of stepping around a load of rubbish or having stacks of folders falling on me all the time, so I hired RubbishWaste to get rid of it all. I don't live in a big flat as it is so you can imagine how frustrating it'd be to keep falling over yourself even putting yourself in danger. The property clearance company came round and I just told them what to take and what to leave and they were very easy going. Everything was conveyed out of the flat and into the van in short order, meaning I still had some of my day left to do whatever I wanted to. Perfect service.